The Gokyo lake system is worlds highest fresh water system which has 19 lakes which is spread over an area of 485 acres lying between height 4,600m and 5,100 m (15,100 and 16,700 ft). Gokyo valley is located in the west part of Khumbu and it is far less developed and crowded than its better known neighbour to the east. 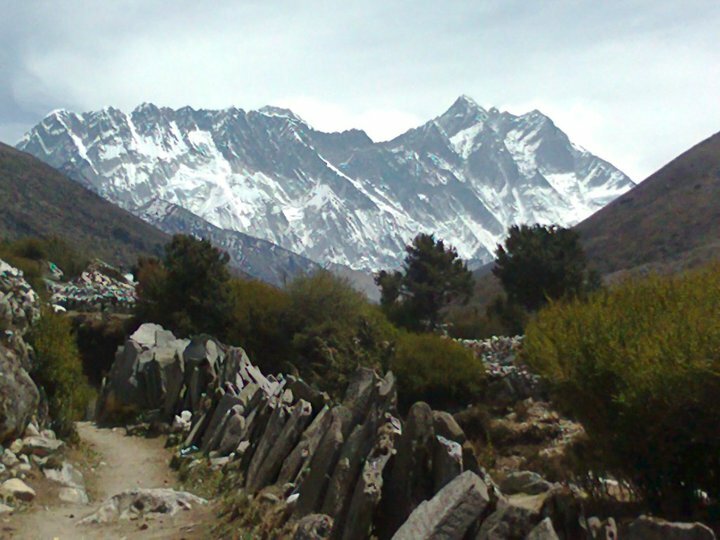 In fact, Gokyo valley has one traditional permanent settlement. 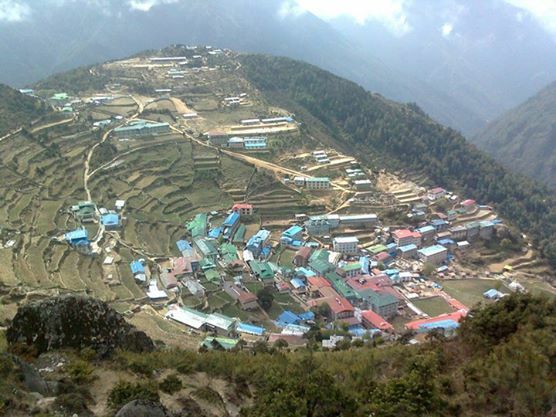 It lies in Khumjung village Development Committee of Sagarmatha Zone. The main Lake of Gokyo Lake is Gokyo Cho which is also Know as "Dudh Pokhari" which means a lake of Milk in Nepali. 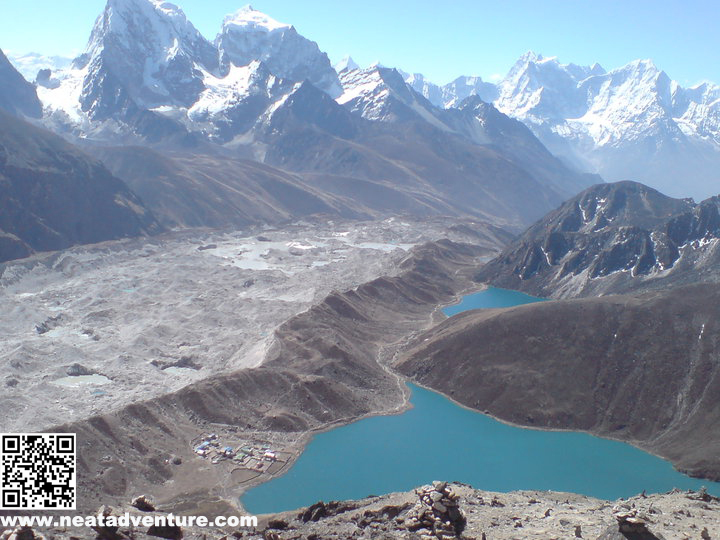 Thonak cho is the largest Lake of Gokyo in size and like there are many other lakes. The lake is one of the holy lake for Hindu and Buddhist people. The hindu people take bath in the lake during Janai Purnima Festival. Gokyo lake is one of the charm of Everest Region and famous among tourist. Kathmandu - Lukla (2860m) - fly in the morning for 45 minutes then Commence trek to Phakding (2600m) - 4 hours. Phakding - Namche Bazar (3446m) - 5/ hours. Namche Bazar, one-day rest for acclimatization.Acclimatization is important before trekking higher, and this is a scheduled stop, which will allow you to gradually become used to the effects of altitude - the lower pressure and the thinner air. You can spend the day by taking a side trip to Thami or Khumjung, by visiting the National Park Visitor Center on the hill above Namche or by simply resting and browsing in the shops in the town. Namche is a fascinating place simply to 'hang out' and take in the culture of the mountains, from the trading of visiting Tibetans to the stories of departing mountaineers. Namche Bazar - Tengboche (3867m) - 6 hours. Tengboche - Dingboche (4343m) - 6 hours.Descend from Tengboche and cross the Imja Khola, then side hills gradually to Pangboche. An interesting Gompa site above the main village. 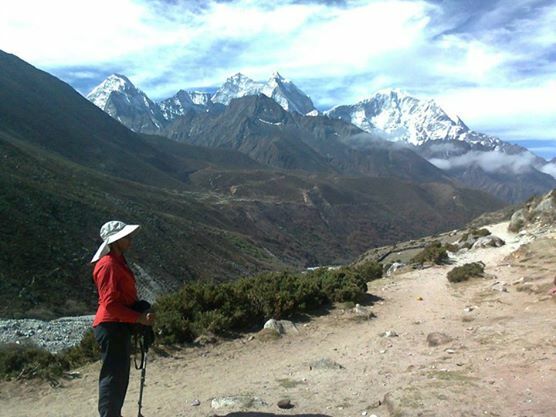 The trekker is the midst of the Himalayas here with spectacular views all around. Dingboche lying in a shelter spot above the Imja Khola is generally more attractive. It is however note that Himalayan Rescue Association has their aid post at Pheriche. 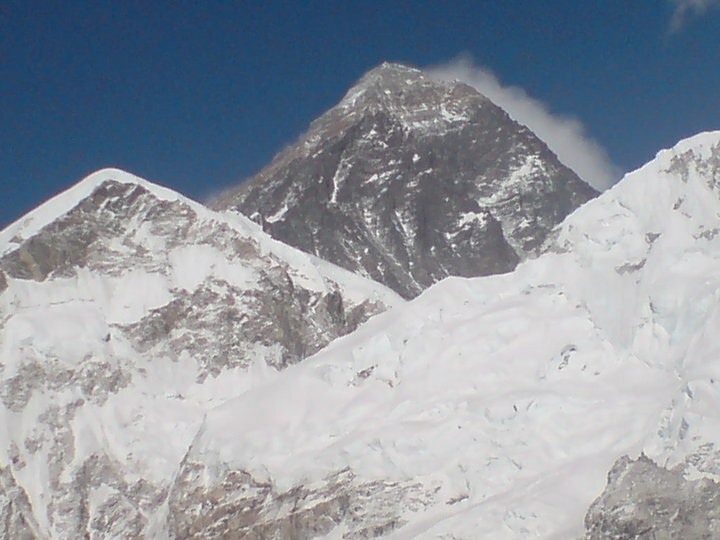 Dingboche - Lobuche (4930m) - 5½ hours. Lobuche - Gorakhshep (5200m) - 4 hours. 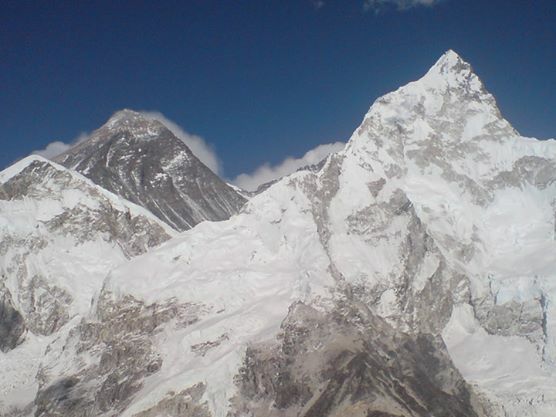 Gorakhshep - Kalapathar (5545m) or Everest Base camp 5357m - Lobuche - 6 hours.Start early in the morning to get Kalapathar. This is the place from where you can see the wide view of the Everest. Your dream will come true here. Lobuche to Dzongla (4600m)The trail goes uphill through rocky path. Gokyo(4750m) - Gokyo Ri The path goes through rocky stones to reach to Gokyo lake . 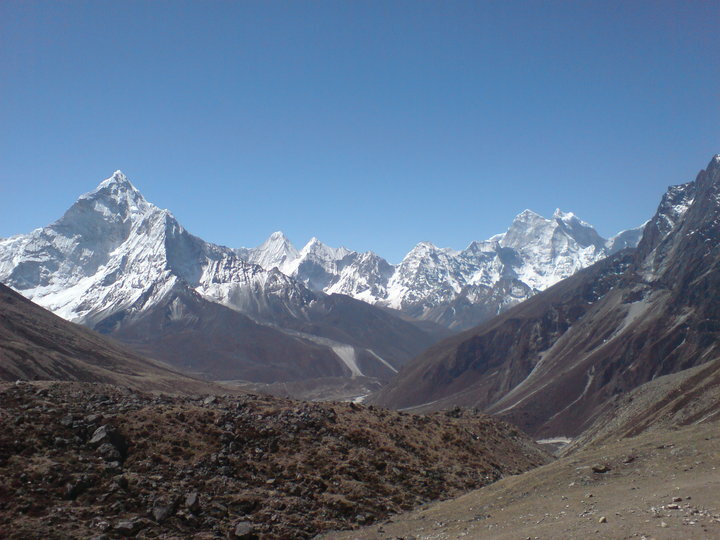 possibly to climb Gokyo peak in afternoon. Phakding-Lukla (2860m) - 3 hours, reconfirm the flight tickets. Fly to Kathmandu for 45 minutes from Lukla. It would be easy for you if you have your own group if not also we can arrange a group trek according to your request. You would be joining the group in Kathmandu. If you want to have a solo trip then we are always ready to help you again with single supplement charge. We try our best to make your comfortable holiday in the beauty of Gokyo Region. Climate in Nepal is diversified depends on season. From the low level to highest point of the World, it starts from hot to cold region from South to North. You can travel Nepal in any season but the best time to visit in Gokyo Region is autumn & spring. If you are in autumn the weather is perfect and sky is crystal clear but in spring the weather seem little cloudy but the full blossoming Rhododendrons are awesome. In Summer visibility is poor and there is less chances to see the himalayas and in winter it is very cold in mountain but still possible to do this trip. While you travel Gokyo Region, you need to obtain the entry permits and TIMS permit. All the applicable permits and entry fees are including on the given cost except personal contribution and donations. In case of extra charge and payment, the agency will inform you. NEAT is highly aware with Environmental concern and keep right ecological system. There shouldn’t be awful impact while you travel around the Gokyo Region. So, we involve some campaign of cleaning trekking trails, works with KEEP project etc.